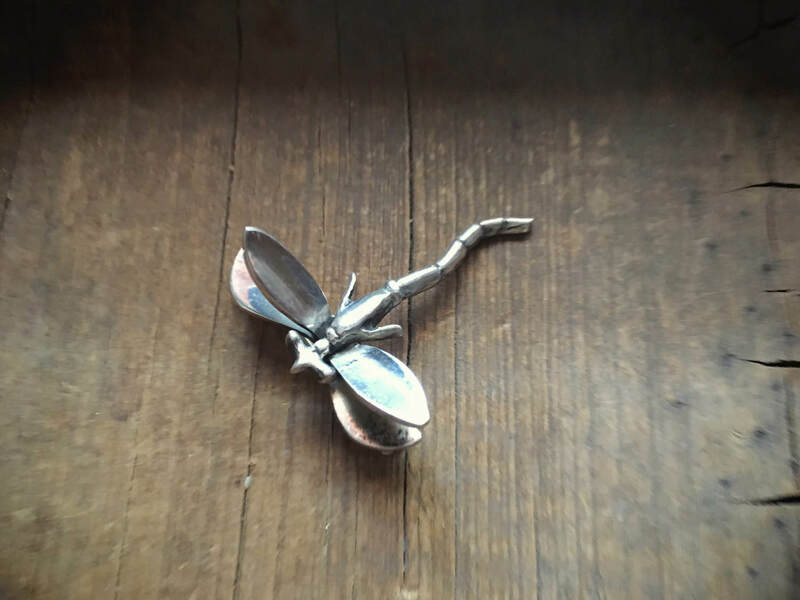 Here we have a silver dragonfly brooch, lovely and large. 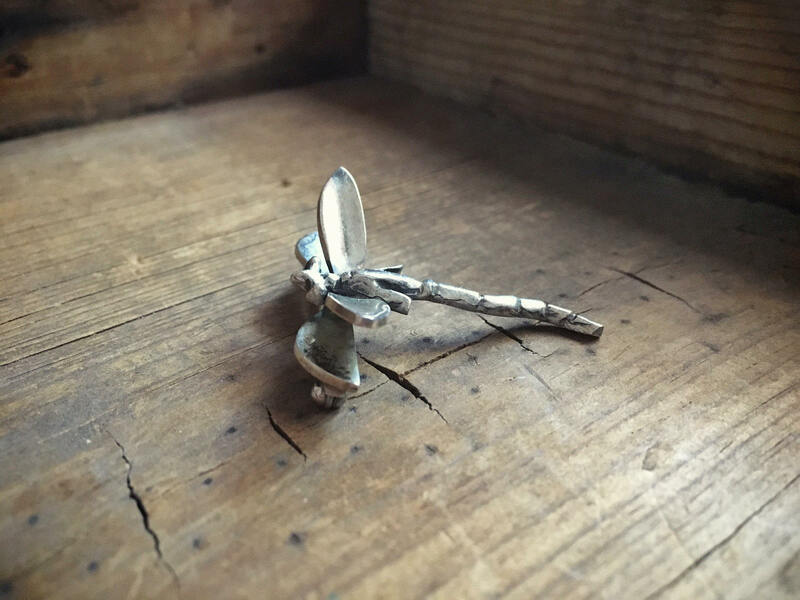 Dragonfly is a powerful symbol in many cultures. In Native American cultures, dragonfly signifies changes and transformation, swiftness, but also because they breed and live near water, the dragonfly is an important totem, especially for Navajo and other peoples of the arid Southwest. 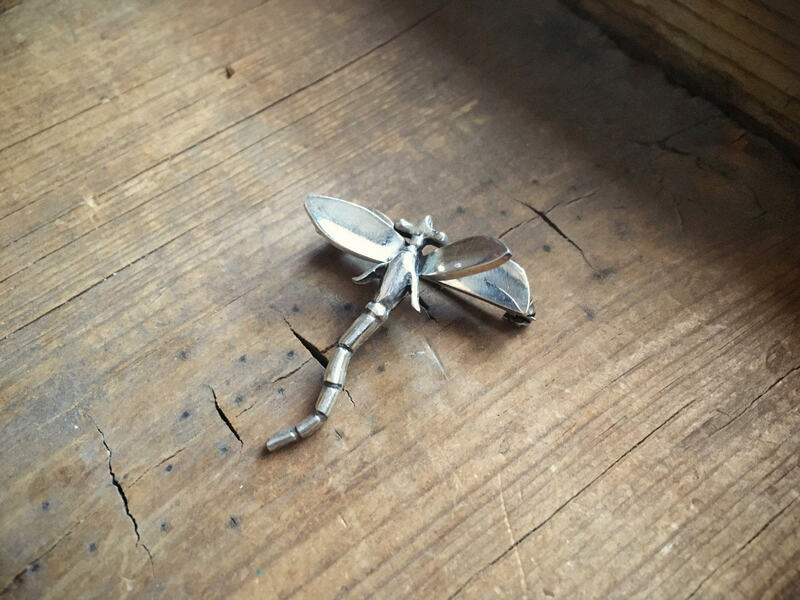 This dragonfly was purchased in the heat and dryness of New Mexico, and while the hallmark on the back is illegible, we believe it is a harbinger of good for this part of the world. Although we don't know if this is Native American, we do believe given the reverence for this creature, the brooch is Native American inspired. The brooch measures about 1-1/2" long by about 1-1/4" wide. 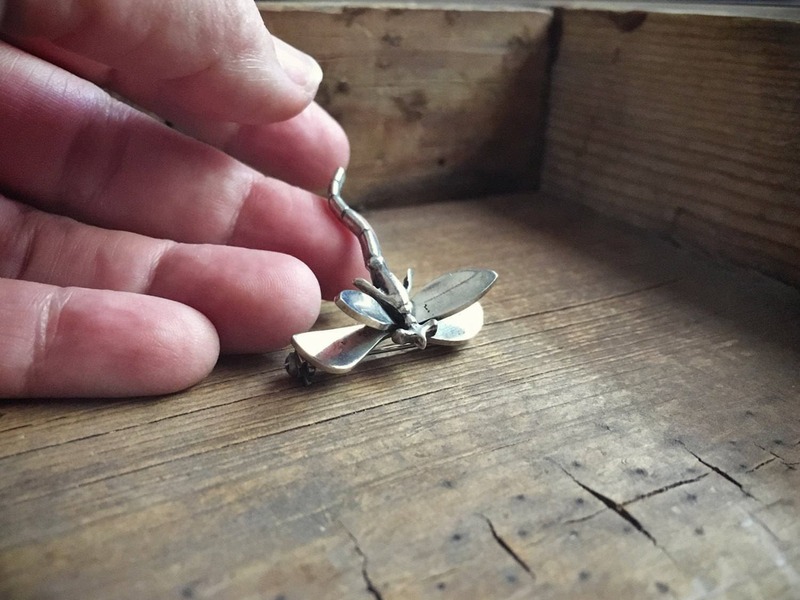 The brooch is three-dimensional and just over 1/2" tall. In good vintage condition. 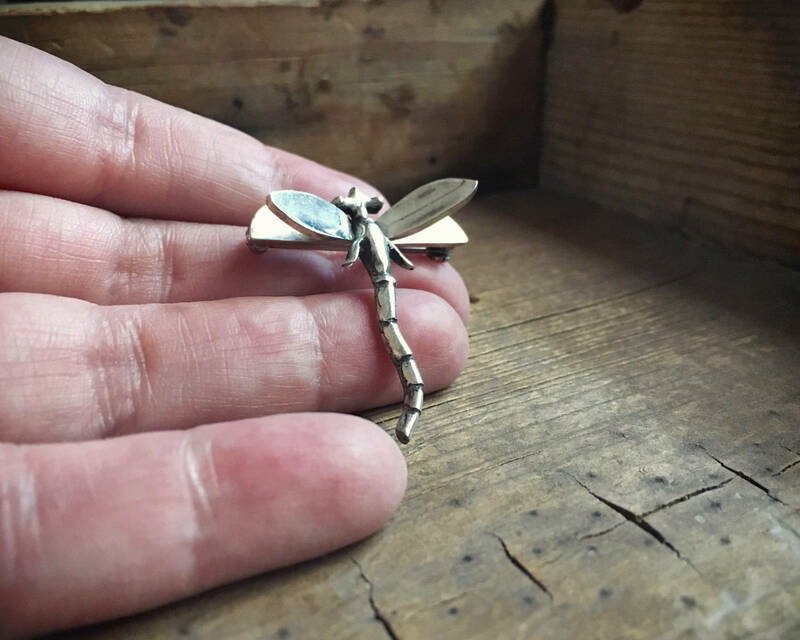 Having flown the Earth for 300 million years, the dragonfly is a symbol of our ability to overcome hardship and to persist. Small yet fierce.